Home » Posts Tagged "Taxation"
Contrary to the unstable economic context, there are evident signs of companies from all around the world hoarding. Here you see 25 of the most profitable companies worldwide as of 2012 and following to that 6 American companies that “missed” the taxation path. 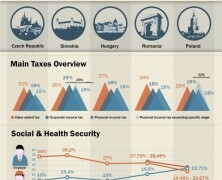 The government seems to delight in taxing the vices of it’s people. Anyone who buys alcohol or smokes cigarettes can attest to that. 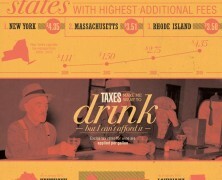 This infographic looks at sin taxes across the nation. Do you have any idea of how much we shell out on taxes for pleasure products like alcohol, cigarettes, gambling and marijuana? Let’s see how much we would save from tax excise if government was less greedy with our pocket and learn from the the tax history in the US. Here you see a simplified version of how the most powerful bank in the world rules economy and consequently our lives. Read on and you will realize the risks emerging from an omnipotent Federal Reserve. This infographic looks at the history of tax implementation in the US since nation’s constitution and pinpoints obscure or evident cases of manipulation and malversation in American tax system. A brief history of U.S. government’s misadventures, mishandling and misuse of YOUR tax dollars. 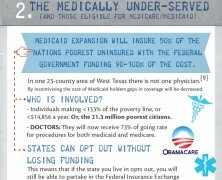 Almost 6 out of 10 Americans either are unaware or have an obscure idea of the obamacare act specifics. This report gets down to the aftermath both for businesses and individuals. Americans show little to no confidence to the current tax system and public opinion, now more than ever, put weight behind tax reform. But how does the government respond to these signals? Online Accounting Degrees unveil the ways companies evade from tax system and how this situation burdens legitimate tax-paying companies and individuals. CEE (Cental & Eastern European) countries are a fertile ground for investments. See an overview of tax systems, business legal forms and investment incentives for Slovakia, Czech Republic, Poland, Hungary and Romania according to the latest significant changes in taxation. 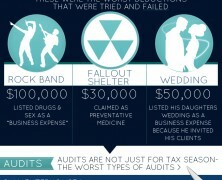 Here’s an infographic presenting strange audits in America. It covers celebrity tax evaders, the worst deductions that were tried and failed, and the worst type of audits.